Let’s pretend that it’s actually what it’s supposed to be right now – SPRING! Because I’m sure she’s right around the corner, waiting to lavish us with blossom, sunshine and tulips…That’s what I keep telling myself anyway! Either way, spring will be here soon and it’s time to transition out of our winter skincare for some more spring appropriate products. 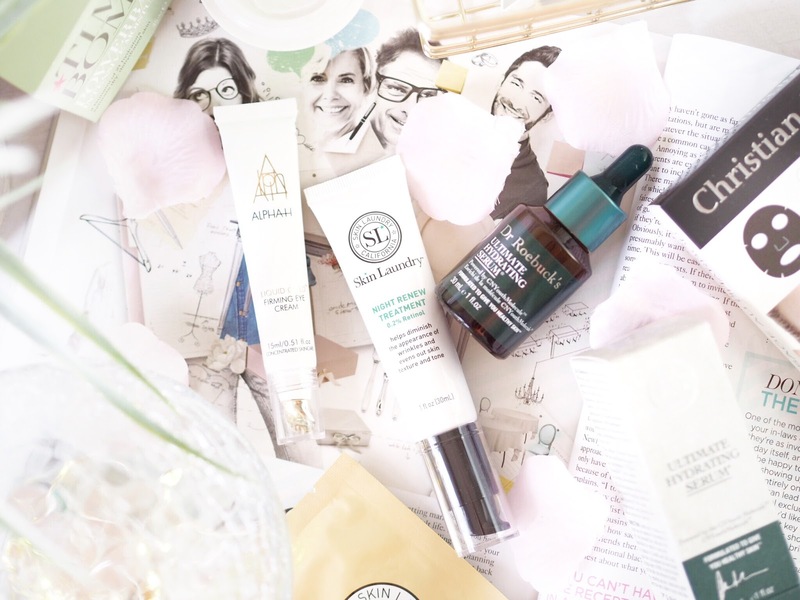 I talk each season about the best products to use as we move from one to another. Transitioning through the seasons can play havoc on our skincare with all the changes it brings. The temperature, the heat, the sunlight levels, our surroundings etc…it all plays a part on how our skin is affected. And so. it’s important to introduce key staples into your routine to make the transition as easy as possible for the skin. Last year I started using facial oils and serums properly as part of my everyday routine. I’d tried them before but never relied on them, as often I was scared that as someone with oily skin, an oil product was not the way to go. How wrong was I! 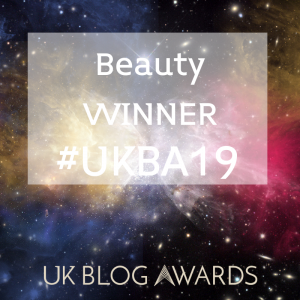 When I realised that oily skin doesn’t mean you can’t use oils, I noticed a big change in my skin, as often facial oils have a really concentrated way of delivering a big hit of nutrients to the skin. 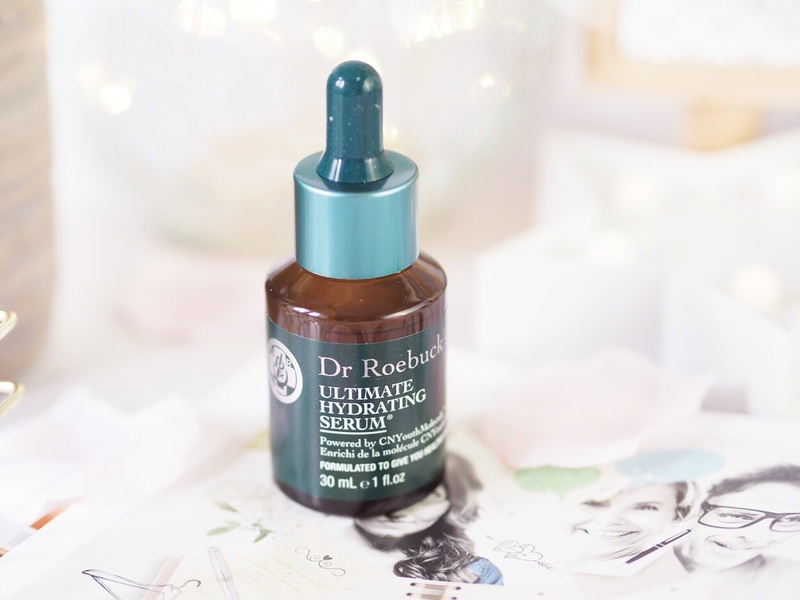 I’ve recently been using Dr Roebucks Ultimate Hydrating Serum and can’t quite believe how good it’s been. 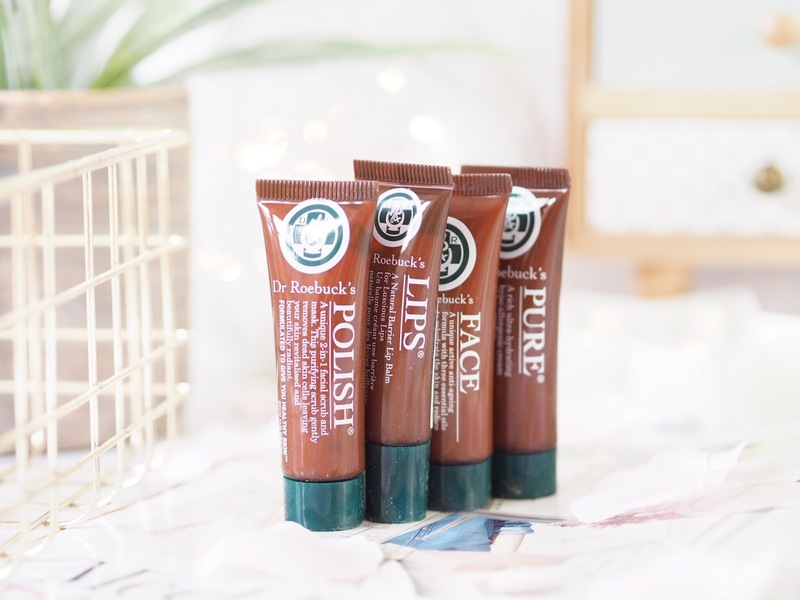 Dr Roebucks are a brand I had heard about from friends overseas, but they’ve only recently become available here in the UK as an exclusive to Selfridges. This serum is oil based and basically the next wonder oil you’re going to need on your shelf. It works to increase collagen production in the skin, to increase elasticity, as well as plumping and smoothing – perfect for fine lines. I find this has really overall softened the appearance of my skin and left it feeling lovely and looking great and smooth. And the great thing about oils like this, is that if you’re lazy with your skincare then you can use this instead of a moisturiser, or as well as too. Speaking of Dr Roebucks, I’ve actually recommended it to a LOT of friends already, so it seemed only fair that I give you guys the heads up too. 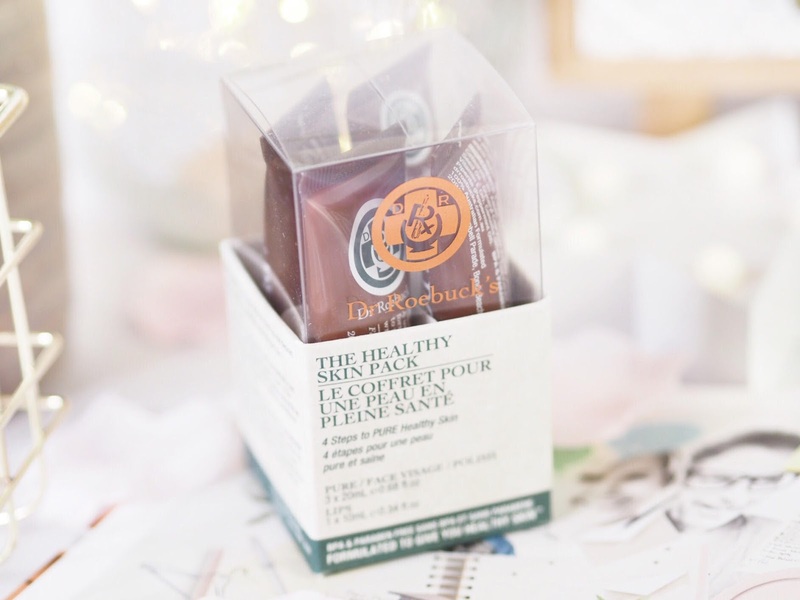 As a newly launched brand here in the UK it can sometimes be hard to know where to start, but this Healthy Skin pack features four travel sized products from their range. It includes a lip balm, an anti-ageing moisturiser, a facial scrub and a normal moisturiser. All are 10ml-20ml, so good travel sizes and the selection of products will give you a good idea of where to go next with Dr Roebucks. Currently having been so popular, these are all sold out at Selfridges, but for now you can still get them online at Sephora. With the arrival of some heat and sunshine, a good facial mist is essential and Neals Yard have a great one that’s infused with white tea. For all skin types, it’s got a cooling sensation to relieve the hustle and bustle as it gets warmer. For spring it’s a great handbag essential for work days when you need a skin pick-me-up. Neals Yard have some great organic products as well, so check out their range. At the very basic, a good skincare regime needs a thorough way to remove make-up and cleanse skin. 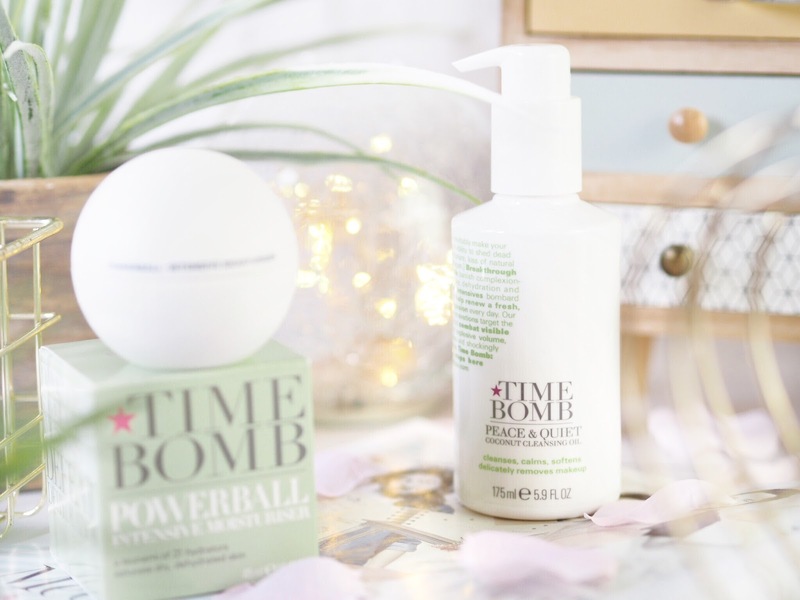 The Time Bomb Peace & Quiet Oil works to remove all traces of make-up while also cleansing the skin – so it’s doing two daily essential jobs in one. Working hard to remove oil based make-up as well as wax and SPF products, this shows how good the oil is at removing every trace from your skin. 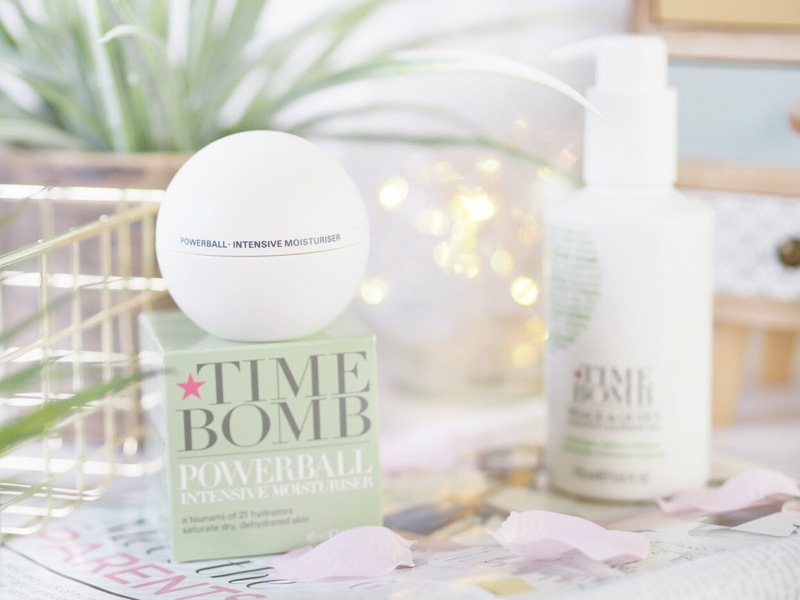 It’s not harsh to use at all and would work for even the most sensitive skin. Apply directly and it turns into a milky consistency from it’s original oil form. We all need products like this as a basic, and this is a great one for when you want to take the day off and relax in your pjs. 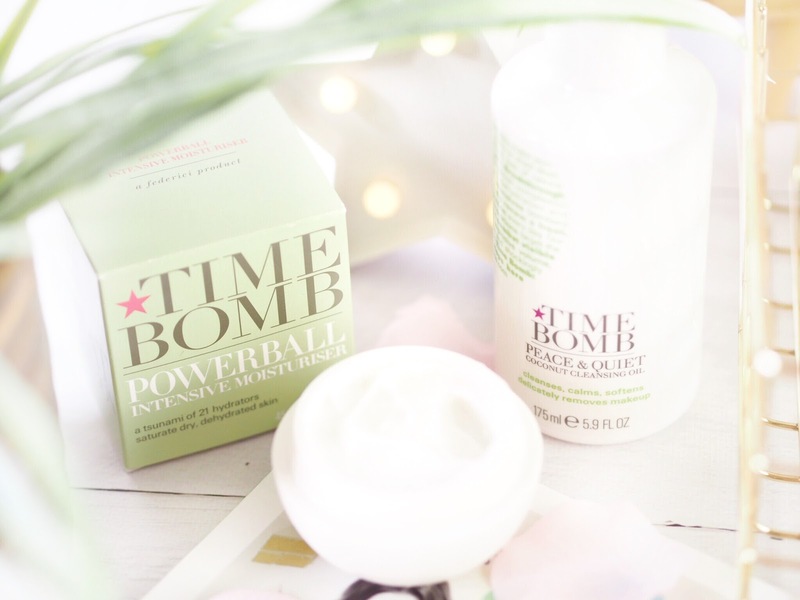 Also from Time Bomb is their Powerball Intensive Moisturiser which is perfect to transition away from winter. 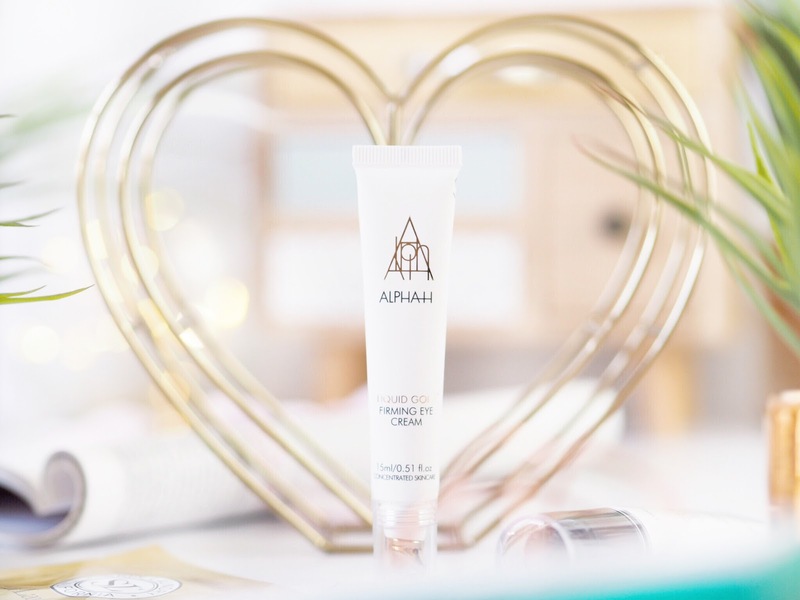 Designed for very dehydrated skin, this moisturiser floods skin with moisturisation and works to not only add hydration, but encourage the skin to retain it. A lightweight one great for parched skin after being stuck indoors with the central hating on for too long. Okay, this was sent from above because girls (and guys!) this is going to be a game changer. One of my biggest problem areas nowadays is my under eye area. 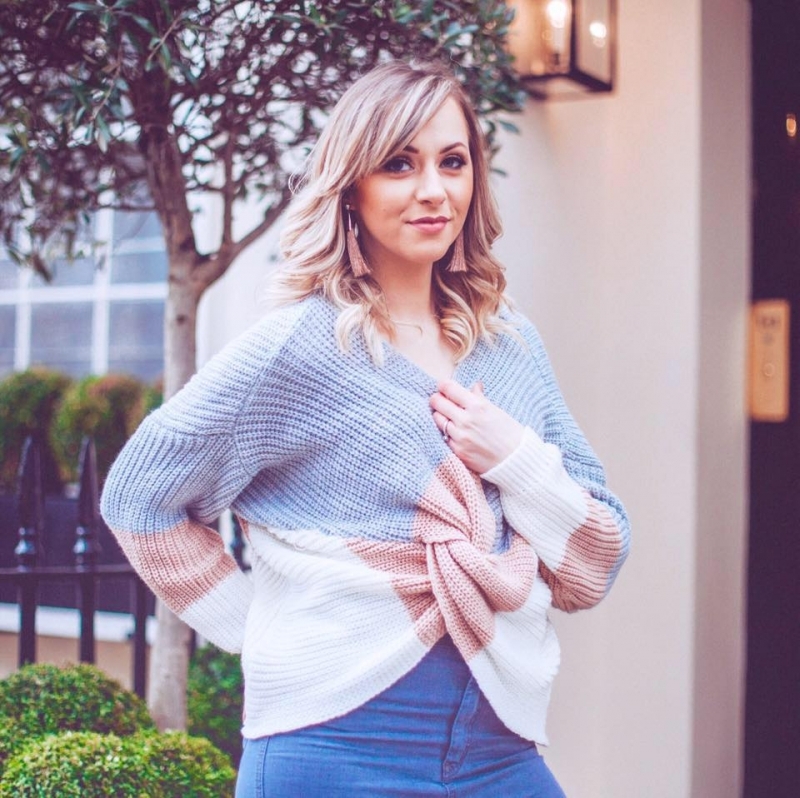 I find that my eye bags are dark and I’m starting to get fine lines there because I’m tired and spend so long looking at screens (perks of blogging!) However this has really seen a difference in the way my under eye area looks – brighter and softer, almost like it blurs the area to look a lot better. It softens the lines that have begun to form and plumps them out, so they look a lot less noticeable all round. Plus the area itself looks lighter and brighter in colour and texture, so even when I feel tired, the eyes don’t show it. I am a huge fan of the original Liquid Gold products, so this is a fantastic addition. Currently sold out online, keep an eye out for when it’s back in stock here. It’s no secret that charcoal face masks are the bees knees for detoxifying. And what more could our skin cry out for as it transitions from winter? 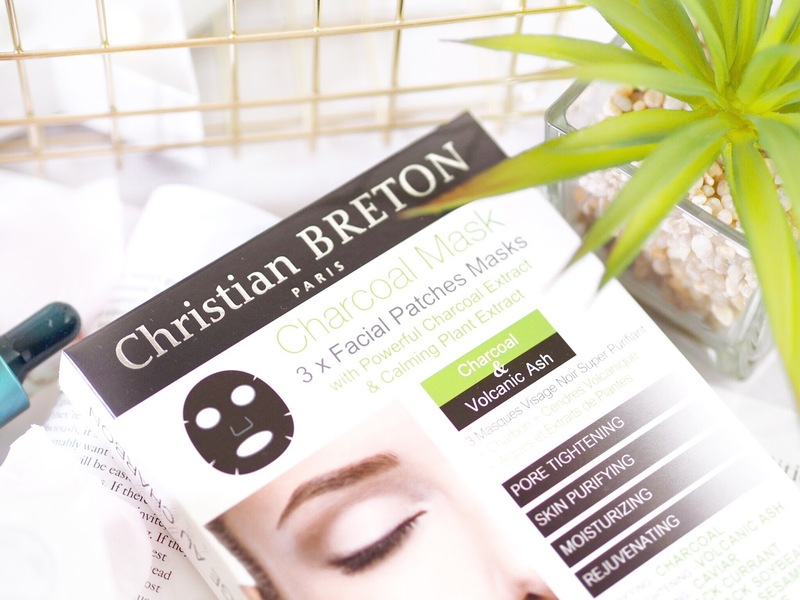 These lovely Christian Breton sheet masks work in 20 minutes to detoxify the skin and unclog pores, while reducing their appearance. 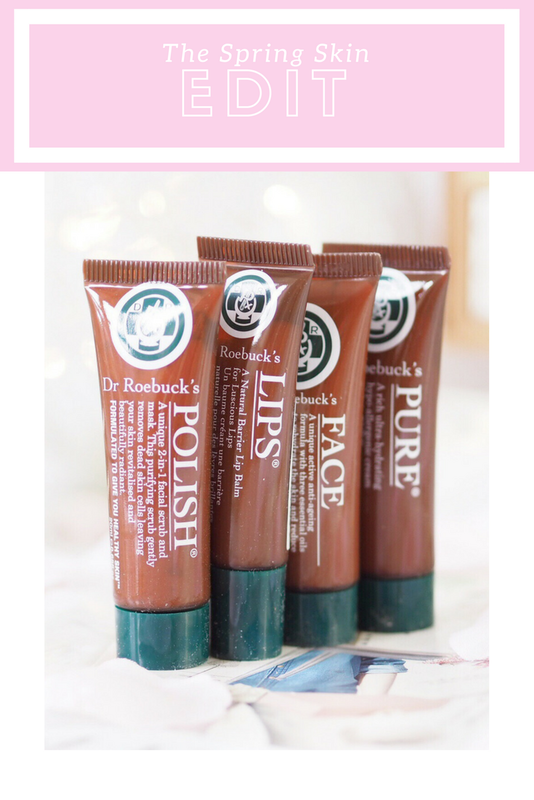 I am a huge face mask fan, and these are lovely and cooling, so perfect for getting spring like skin. I recommend these sheet masks for fresher feeling and cleaner looking skin. Wipe that winter off, and welcome the spring! So there you have it – the new products to invest in for great looking skin as it transitions from the cold and dry winter into the spring!